The Little Joys fun continues today with week #3! The 'Welcome Home' block, which you can find available on Fat Quarter Shop's Jolly Jabber blog today! Find all the details about the Christmas-in-July sew-along here. This is my favourite block from the quilt, so simple to put together and really sweet. 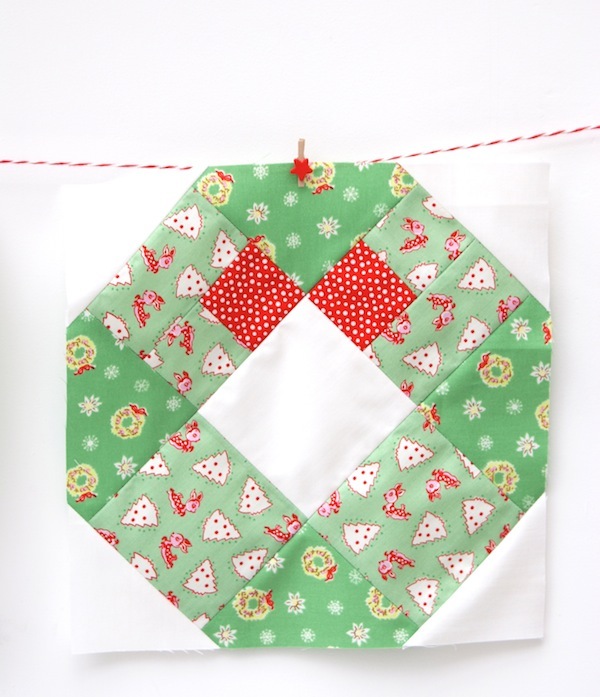 Wouldn't they look great as a Christmas mini quilt to hang in an entrance hall? So inviting. I plan to make some more and do just that (once I've got some August deadlines out the way). Have a great week friends. Such pretty blocks, and what a lovely little quilt they will make....love the fabric colours! They are just the cheeriest blocks!